You are here: Home › Mountain Life › Chickens › Garden › How many times do you use your hay? How many times do you use your hay? How many times do YOU reuse your hay? For me it’s 4 times. First: feed it to the goats, Second: what falls to the floor becomes bedding, by spring a thick layer that quickly absorbs urine ( I only clean the goat barn once a year!) Third: rake up some of the hay for a covering on the chicken coop floor. The hens eat some of the hay and break up the rest into short pieces. 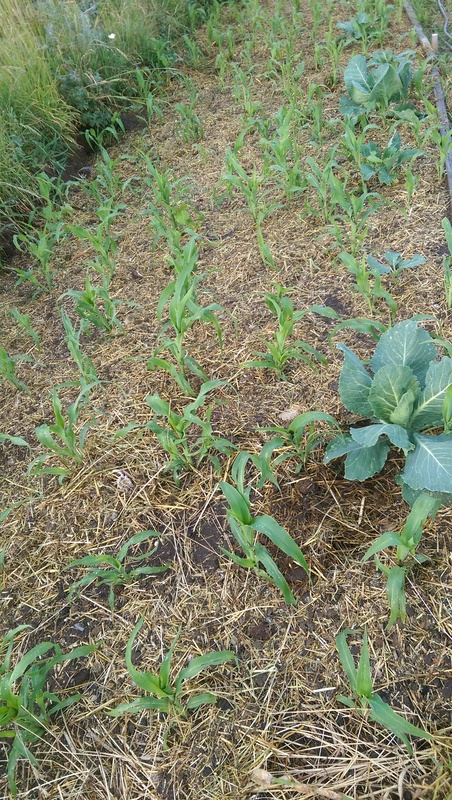 They poop on it and then, Fourth: I mulch the garden with the high nitrogen, powderized poop/hay!